What’s the best thing about having a car? Driving of course. And the worst thing? Err, that would be driving as well I suppose. There are times when I love nothing better than putting the key in the ignition, putting on my sunglasses and hitting the road in search of action, adventure and a playground for my little girl. However, what about those other moments when travelling to work or going for a trip to the local Tesco’s just don’t get the old adrenalin flowing? 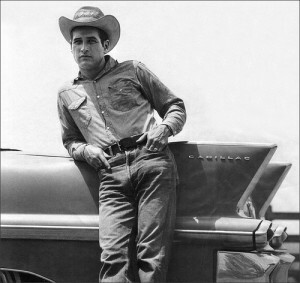 Paul Newman is my new hero, and strangely enough he has the same name as one of my old heroes. This one isn’t an actor and racing car driver though; he is a professor in the Department of Engineering Services at Oxford University, which is almost as cool in my books. Professor Newman (we haven’t yet made it onto first name terms) has created a car which drives itself. It is called Wildcat and has enough cameras, lasers and radars on it to give it all of the tools and the spatial awareness it needs to navigate on its own. The good people at BAE Systems and Nissan helped put Wildcat together and the aim is to help drivers get back “some of their day”. These cars also communicate with each other to exchange information on traffic jams in the area. It is kind of hard to imagine being able to relax which the car drives itself, isn’t it? Can you picture yourself nodding off to sleep or playing a game of Scrabble while the vehicle weaves its way through the traffic? Even weirder would be seeing a driverless car heading towards you. I guess it is something which we will all get used to after a while if it really takes off. This entry was posted in News and Views and tagged car, driverless car, ford, LS, nissan, Oxford University, Paul Newman, Professor Newman, racing car driver by Robert Bell. Bookmark the permalink.